Designed for high volume stapling, the Rexel Gladiator Heavy Duty Stapler has a full metal body and can handle up to a massive 160 sheets at once. 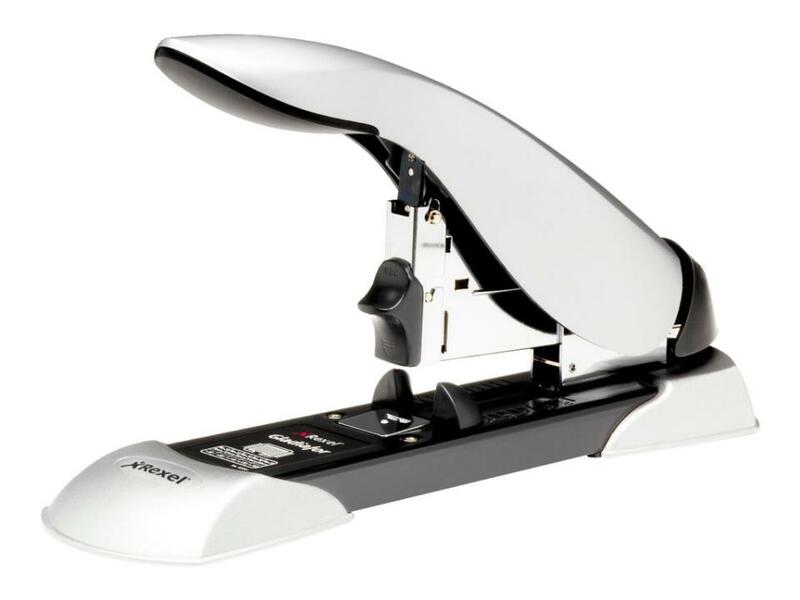 This heavy duty stapler is ideal for use in large offices and works perfectly with high capacity paper documents. The Gladiator loads Rexel No.23 staples (8-20mm) and has an adjustable throat paper depth of 10 - 70mm. This means it can deal with large volumes of documents and at the same time provides accurate stapling to give your documents a smart and professional finish. Staples are loaded into the base, and it is extremely easy to reload when needed, which comes in handy when you need to staple a large amount of documents. It also features an easy jam release feature that helps speed up your stapling and subsequently improves work efficiency. This is the ideal office stapler for large scale stapling jobs.